Riyadh, July 5 (Just News): Saudi authorities are still holding royal family members, ministers, and top businessmen in detention, and are making more arrests months after the start of an anti-corruption crackdown, The Wall Street Journal (WSJ) reported. Government officials and people close to the detainees said many of those in custody are held without charge, with little or no contact with family members and lawyers, the New York-based daily said on Wednesday. Many are also being held in maximum-security prisons, and some were even subjected to "rough treatment", WSJ said. Among those in detention is a senior royal, Prince Turki bin Abdullah, who served as governor of Riyadh and is a son of the previous monarch, King Abdullah. Recently, three billionaires from the Mahfouz family, a prominent Saudi banking group, have been detained for unidentified reasons, officials said. While the spokesperson for the Saudi government did not respond to WSJ's requests for comment, the kingdom's deputy attorney general noted some detainees were facing charges that go beyond corruption – such as national security and "terrorism". Dozens of royal family members, ministers, and top businessmen were arrested in early November during an "anti-corruption purge" launched by Crown Prince Mohammed bin Salman. Allegations against those detained included money laundering, bribery, and extorting officials. The crackdown, which came about via a royal decree in November 2017, was in response to "exploitation by some of the weak souls who have put their own interests above the public interest, in order to illicitly accrue money". Most were freed after reaching settlement deals with the government, including Saudi businessman and billionaire Prince Alwaleed bin Talal. In January, Saudi Arabia's Attorney General Sheikh Saud al-Mojeb said that the kingdom had seized more than $100bn in anti-corruption settlements. 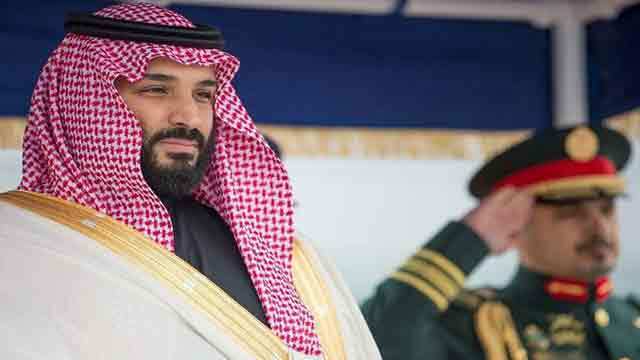 Experts have noted that the arrests were a way for Crown Prince Mohammed bin Salman to consolidate economic, as well as political power in Saudi Arabia. Some detainees released from the Ritz Carlton have been subjected to travel bans and some have had to wear ankle monitors, people close to them said. Others have become advocates for Mohammed bin Salman's approach, and at least one has gone into business with the government, the paper said.